The latest investment, in a busy 12 month period for our business, sees the addition of a comprehensive stock of hollow bar to our new racking. Hollow bars or bored bars allow machinists to significantly increase productivity, reducing the time needed to remove material for parts with a large internal diameter. This approach is particularly appropriate for the manufacture of mechanical seals, valve bodies, flow meters, pumps, and associated components for the oil and gas sector. Finally, replacing solid bar with hollow bar eliminates the need for trepanning when producing components with a central bore, which causes material to work harden and is detrimental to subsequent machining operations. The final benefit of our hollow bar stock range is that it exploits the Sanmac� alloy, where enhanced machinability comes as standard. The Sanmac� alloy specification carefully controls the non-metallic inclusions; sulphides encourage easier machining whilst oxide inclusions improve chip breaking. 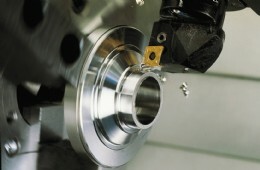 This helps to reduce tool wear and increase cutting speeds, resulting in significant cost reductions per produced item. In order to unlock these opportunities from hollow bar for our customers, Langley Alloys has already stocked almost 80 different sizes (combinations of OD and ID) in Sanmac� 316L. This range will be progressively extended to include other sizes plus Sanmac� 2205. 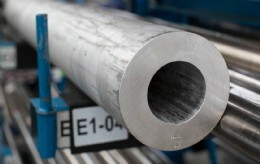 However, the potential to produce bespoke sizes and in super duplex and high nickel alloys also exists.